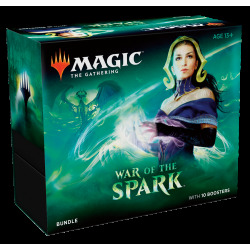 Fat Packs / Bundles There are 11 products. 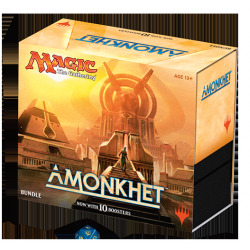 The Amonkhet Bundle replaces the old fat pack and adds one more booster pack. 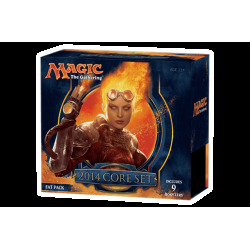 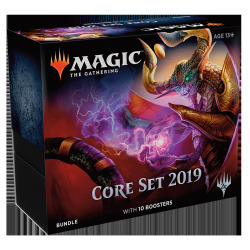 Includes a Player's Guide with pictures of all cards in the set as well as two full deck boxes, nine 15-card booster packs, 70 basic lands cards, 10 checklist cards, and a special-edition life counter. 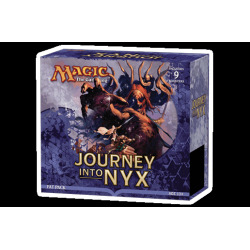 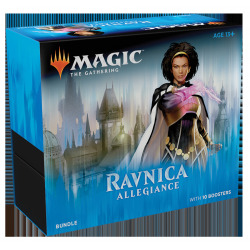 Includes a Player's Guide with pictures of all cards in the set as well as two full deck boxes, nine 15-card booster packs, 80 basic land cards, and a special-edition life counter. 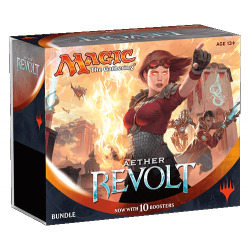 The Aether Revolt Bundle replaces the old fat pack and adds one more booster pack. 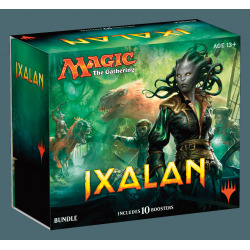 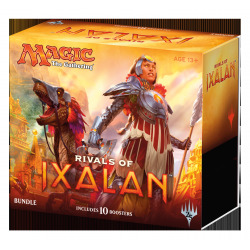 The Ixalan Bundle replaces the old fat pack and adds one more booster pack. 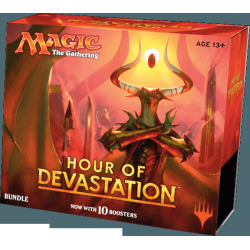 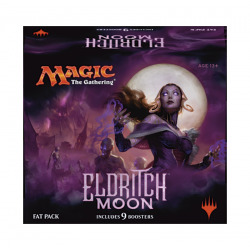 Includes a player’s guide with pictures of all cards in the set, nine 15-card booster packs, 80 basic land cards, one card box, two deck boxes, a learn-to-play insert, and a special-edition life counter.